3. 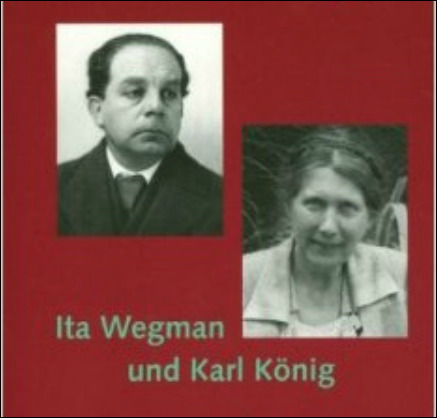 Koenig states that the development of speech is a prerequisite for thinking. Discuss this statement and also comment on how the different languages and their structure influences (or not) the child's and ultimately the adult's way of thinking. The third year, which we shall now take into consideration, is of decisive importance for the further development of the child. In the first year he detached himself from the world by the acquisition of the ability to walk upright, and learned to distinguish between the experience of the surrounding world and his own existence. In the second year, through the birth of speech, the things of the surrounding world were named and the manifoldness of speaking, especially in saying and naming, for the first time brought order into the bewildering diversity of life experience. The outer as well as the inner world could now be threaded somehow on the string of words and primitive sentences and could be used for his adornment like the colourful little chains that the child produced at this time. The small child looked at himself with greatest pleasure in the mirror of his own word power and wore the speech he had acquired like a festive garment. This garment was a house that offered shelter and gave security. Whenever the garment had a hole, when a word or sentence construction was missing or not altogether successful, disappointment pierced the child's soul. Indeed, it may even have led to despair. In the third year, the time lasting from the extended acquisition of speech to the appearance of the first period of defiance, an entirely new event occurs - thinking begins to awaken. This happens in quite special moments, often lifted out of everyday life, during which the child begins to become conscious of himself as personality. These moments may appear only seldom and grow more frequent and decisive only in later years. During the third year, however, they begin to be seen. Then the child becomes a being who observes himself and the world no longer as a child but as a person conscious of his own self. Many conditions are necessary for this awakening to occur. Some of these are more important than others, but a diversity of these acquired prerequisites is necessary. I shall mention only the most essential ones that will occupy us further. Firstly, the elaboration of speech must be considered because children begin to learn the correct formation of sentences only at the end of the second year when the word as such becomes a phenomenon that livingly changes and transforms itself. Comparison of adjectives, declension of nouns, and tenses of verbs are gradually achieved. In this way the experience of time and space is multiplied and recognition of the things themselves is considerably broadened. Secondly, the acquisition of memory is an indispensable basis for the awakening of thinking. To this belongs the gradual formation of memories from vague recognition to voluntary reproduction of memory ideas. A third requirement is play. Here the free activity of the small child as expressed in every new forms of play, in the imitation of the world of grown-ups, and in the enlivening of his own fantasy is of fundamental importance. How else would a child be able to recognize himself as a person if he did not repeat, imitate, and, as a non-ego, put in front of himself everything he sees happening around him? 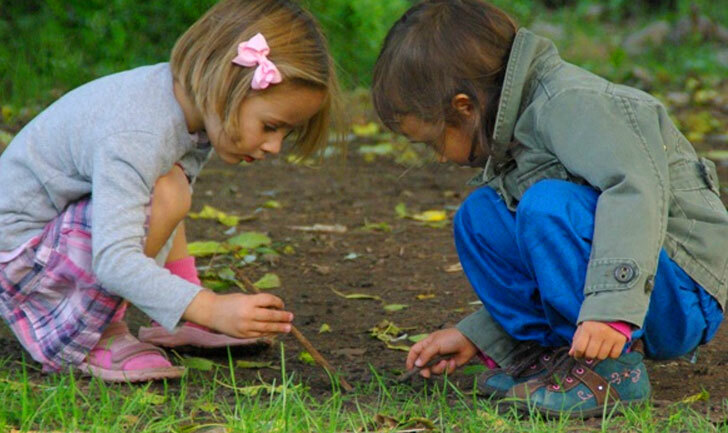 The true meaning of all play is that the child creates the world in play in such a way that he himself does not take part in his creation because he is the creator. As such he can withdraw from what he has created. A fourth requirement is the gradual comprehension of an idea of time encompassing first the future and later the past. There must also be a gradually developing comprehension of space where one cannot only walk and run, but where individual things are kept such as toys in the toy-chest and clothes in the closet. Houses and lanes, fields and paths with their trees and shrubs also become well-known sights. Another thing to consider in understanding certain attitudes of the child is that the smaller the child the larger he experiences himself in relation to the world of space. Finally, we must take note of how percepts are gradually grasped and transformed into ideas, a process intimately connected with the formation of memory, which will be mentioned later. With all these single soul functions, which in the course of his third year the child not only acquires but also develops and connects with each other, we have some notion of the complexity of these developments. What we call the 'awakening of thinking can only arise in this manifoldness and working together. Speech and ideas, memory and play, the comprehension of space and time are like a circle of kind women who bend over the cradle in which a sleeping child is on the point of waking up. Each of the women makes a helping gesture and calls an encouraging word to the child, who is the "thinking about which we shall speak. Thus, the process of awakening comes about. We must next try to describe what this awakening thinking is not and what it is. Only after we have reached an understanding on this point can something be said in clarification of the third year in the life of a child. First, we must clear away the nonsense of the views that began with Köhler's Investigation of Anthropoid Apes. (1) These views were introduced into child psychology by Karl Bühler (2) and have since spread from his work like a malignant growth (for example, Remplein (3)). I refer to Köhler's well-known and instructive experiments on a number of anthropoid apes. Here he tried to show that the results he obtained were primitive achievements of intelligence. For instance, some of the chimpanzees, after unsuccessful attempts, were able to reach fruit that was hung from the ceiling, by piling boxes on top of each other. In another experiment the "more intelligent' of the animals learned to put together previously prepared sticks so as to reach fruit lying outside their cage. Several other ingenious methods were used by Köhler to arrive at these so-called achievements of intelligence. A person can accept or reject this as he pleases. The idea, however, that a ten-month-old child, in the environment of his home, hardly yet able to move, should be compared with grown-up chimpanzees in their cages is possible only with the kind of thinking prevalent at the beginning of the twentieth century. Furthermore, the word intelligence is thoroughly abused here. This animal behaviour - and that is what was meant here - is by no means an achievement of thinking. When placing one box on top of the other, or putting sticks together, the chimpanzees are not intellectually putting two and two together, but their desire for the fruit dictates the movements of their limbs in such a way that they use the objects lying about to satisfy this desire. It would be an accomplishment of real intelligence only if a chimpanzee would break a branch from a tree and prepare it to use as a fetching stick. Or, again, if he could make a box out of boards by using smaller and harder pieces of wood as nails and a stone as a hammer in order then to put the box to a use thought out in advance. But nothing of the kind happens in Köhler's experiments in which well-prepared objects are so placed that instinct and desire can make use of them. What happens is nothing more than the bringing together of parts, perceived by the senses, into meaningful order through the power of desire. Nothing like this is meant when we speak here of the awakening of thinking. W. Stern once called "intelligence' that faculty which adjusts itself to new demands by orderly disposition of the means of thought. (4) Stern speaks of means of thought that are the basis of an intelligent achievement. These, however, are present neither in the chimpanzee nor in the one-year old child, as Köhler or Bühler try to understand them. The foundations necessary for the awakening of thinking are laid only as speech begins to develop in the child. Speech is like a plough that works the field of the soul so that the seed of future thought achievement can be laid into the open furrows. Even seemingly sensible utterances of the child cannot be interpreted as thought achievement. If, for instance, he begins to name things and then not only recognizes but also designates them upon seeing them repeatedly, this is by no means an act of thought but only of memory within the framework of speech. Also, when the child begins to identify what he has drawn, painted or otherwise copied, for example, a picture of a cat with the actual object and then calls it by its correct name, even this behaviour cannot be ascribed to the acquisition of thought. While certainly complex, this is almost entirely an act of memory as function of recognition. It has already been mentioned that memory, like speech, is necessary for the preparation of thinking. The seeds that are sown into the furrows of the field of speech are those pictures and names, ideas and sensations that memory retains for the small child. It is the result of the power of memory that the acquisition of these pictures does not continually dissolve and vanish. Memory alone preserves in the child's soul the names of things in their connection with the arising imagery. Out of these seeds grow the first few green blades of true thinking in the course of the third year. What do we call this thinking? In his third year, for example, a child has great difficulties in acquiring an idea of space or time. He can ask, "Is today tomorrow?' or, "Is yesterday today? W. Stern tells how one of his children said, “When we travel home, it is today. Or again, “We want to pack today and travel yesterday. Something here endeavors to bring into a correct order yesterday, today and tomorrow so that something that exists, though not perceptible, touchable or audible, still receives its rightful place. The child already knows in his feeling that there is a "has been' and a "to come.' That lives in him as a dim feeling. That today may become tomorrow's yesterday, however, emerges only gradually as thought structure from the experience of manifold world happenings. It is these invisible, but thinkable structures inscribed into the experienced reality that the child begins to grasp. If, one day, he begins to ponder during a meal and says, "Daddy spoon, Mummy spoon, Auntie spoon, Bobby spoon, all spoon!' he has truly made the tremendous discovery that there are objects of the same order. He has come to know that not every single thing has its own name but a number of the same things have a common name, that all spoons are called 'spoon' and that everybody - Daddy, Mummy, Auntie and child - possesses a spoon. The great moment has come when thinking begins to awaken to a conscious function. The first acts of thinking do not occur before this time, but after this they continue to increase as the child grows older, until at school age they become regular, daily activities. We should not, as still happens today, mistake purposeful soul activities that will lead to ordered actions for true acts of thinking. Even the unconscious accomplishes many of the actions it quite reasonably strives for. Animals often show in their behaviour unimaginably clear and concrete reasoning. Indeed, reasonable behaviour is evident in the way bees build their combs, ants prepare their food, wasps safeguard the future of their brood. Hundreds of such examples could be given. This kind of reasoning, however, works out of the organic realm and does not comprehend itself. As active intelligence it only uses organisms as tools. 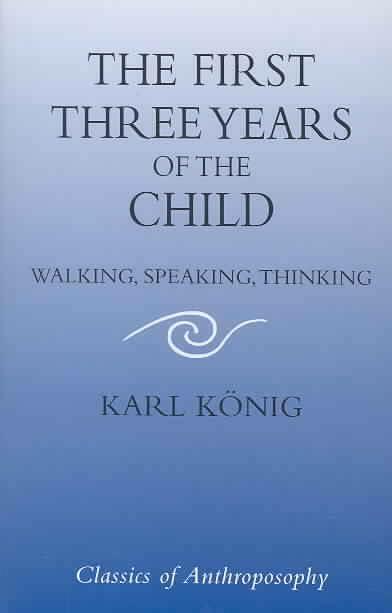 In contrast, the thinking of the child, when it awakens in the third year, is reason that comprehends and becomes conscious of itself. That power lying hidden in all things, which orders, works and shapes, now arises in the human head as body-free activity and grows into awakening thought. This even occurs for the first time in the course of the third year. It will occupy us in detail in later sections of this chapter. First, however, the pre-requisites that lead to the activity of thinking must be studied. After the child has learned 'saying and 'naming in the Course of his second year and has tried to express himself in Somewhat wooden sentence fragments, the whole realm of speech begins to quicken in the third year. As we have already mentioned, we can actually experience how the helpless jointed doll of the first attempts at sentences is gradually permeated with life and soul, stretches and expands and soon begins to walk and to hop. What the child now acquires is the living incorporation of what he later has to learn intellectually as grammar. Especially the morphology of words and the art of forming sentences, or Syntax, begin to awaken in him. Language gives birth to itself in all its perfect grandeur and beauty. Now declination, conjugation and comparison are learned, not, however, in the way they will be learned later, but in such a way that, through the imitation and agility of the child, the words themselves unfold their own life. The endless possibilities of description for everything offered the child by the variety of his experiences thus arise. Merely in the fact that he begins to use nouns, verbs and adjectives, the world opens up to him as being in existence (noun), is constantly active in doing and suffering (verb), and is also subject to judgment and description by others (adjective). Thus noun, verb and adjective form the archetypal picture not only of all sentence formation, but of all manner of manifestations of earth existence. The differentiation between singular and plural, and between masculine, feminine and neuter begins to emerge. Something like the theory of categories as they were first discovered and described by Aristotle becomes alive in the speaking child. In speaking, the child repeats on the level of the word all relations of things and beings of the surrounding world. When even the verb with its conjugations gradually becomes the child’s property — as transitive, intransitive or reflexive, indicating whether it is a case of general activity (to blossom, to think, to fall) (or relating to a person or thing - then a feeling for the manifoldness of all that happens arises in the child. When through conjunctions the activity of the event is so described that it can be represented according to person, number, time, manner and condition, the application of this theory of categories is extended almost without limit. The child begins to speak about past and future and thus concepts of time are evolved that lead later to a past perfect and imperfect or conditional, and to a picture of the conditional. Lastly, the growing human being learns to define himself more and more as a subject acting in the present. In the adjective the child learns to point to single characteristics and to ascribe to a thing consisting of many relations and qualities, one definite characteristic that he singles out. These single indications are also discovered in other things and compared with the quality comprehended first. In this way comparison is gradually developed. That this does not come about easily is demonstrated by the study of the child, Annie, (6) who, when shown the drawings of three towers of unequal size at the age of two and a half years, said that one of them was large, the other small and the middle one thick. The comprehension of a comparable ratio of size did not yet exist. For some time this comparison seemed to Annie the only possible one because the comprehension of the comparison of three similar things was only formed toward the end of the third year. An endless number of examples could be cited to demonstrate gradual maturing in the comprehension of a living grammar. The child is also much more mobile than the adult in declension and conjugation and uses words with an overflow of formative power. He will not say, "The sheep, but, "The sheeps, not, "The feet, but, "The foots, in order to mark the difference between singular and plural in the form of the word. But these are all only a preparation for thinking, not yet the act of thinking itself. They are the numberless furrows and figures that the plough of speech imprints into the field of the Soul. Rudolf Steiner once pointed out the fundamental difference between thought and speech when he said, "Human thinking takes place to a large extent consciously. Speech is not conscious in the same degree. A person needs little self-consciousness to realize that he does not speak with the same degree of Consciousness with which he thinks. (7) In this half-consciousness, which does not lie as deep as dream-consciousness, but unfolds in the region between dreaming and waking, the child learns to speak. When a child produces new designations for things he cannot yet name, when he produces names that are either entirely new creations or combinations or transformation of otherwise known words, it is not the child's thinking, but rather the innate formative force of language that performs this and expresses itself through the child. When, therefore, Annie was asked the name of her clown (Punch), she first said, "Rinka, then Rinkus, then Pasta. She produced a kind of word salad in her joy of creating new words. E. Köhler had observed correctly when she added, "I believe Annie would be able when in full Swing, to improvise another half dozen new words. (8) The same child called skimmed milk, 'water-milk, a rubble heap, 'dirt mountain, a mortar, 'sugar rammer, or 'sugar stamper, and the railway conductor, Mr Railway Station, explaining, "the man in the train... who pinches the cards.' But this is not the case of an explanation of a thought like nature, but a description and combination of sense and speech experience. A trace of this originally intended state reappears in the child's ever recurring new word creations. We now come to the first understanding of that mighty foundation that the world of speech gives to the child for the development of his thinking. In the realm of speech as a whole there lives an all-wielding reason in which the child takes part when he speaks. He cannot yet think alone and independently, but in speaking, he practices the rules of reason, for grammar is the logic of language, a universal logic that later will be raised to the individual logic of the thinking person. The second sphere into which the child has to grow in the third year is the realm of remembrance and memory. In the course of the third year the development of the faculty of memory receives a decisive impetus and assumes its rightful place. At the end of the third year memory has been so far perfected that it has become a fundamental part of the experience of consciousness. From this time on the thread of memories develops and Soon becomes a continuum for daily experiences. Though this development of memory is of great importance for the awakening of thought, these two soul activities are fundamentally different. The development of memory in the small child poses many problems. In basic outline, however, the development of memory is open to study nowadays, especially on the basis of what Rudolf Steiner has to say. He once described how, in the development of human history a threefold transformation of the faculty of memory has taken place. In primeval times of Atlantean development it began with the formation of a localized memory. This localized memory was followed by rhythmical memory. Man felt a need to reproduce within himself what he heard in such a way that rhythm was formed. If his experience of a cow, for instance, suggested, "moo, he did not simply call her, "moo, but 'moo-moo, and perhaps in ancient times, 'moo-moo-moo.' That is to say his perception was as it were piled up to produced a rhythm. At the transition from the Atlantean to the post-Atlantean cultural epoch around the year 8000 BC, the change from localized to rhythmical memory took place. When the high cultures of Asia Minor were succeeded by that of Greece, at about the time of the Trojan War and the laying of the foundation stone of Europe, rhythmical memory changed into picture memories. It is quite obvious that localized memory is established through our limbs by erecting markers in our surroundings. Our hands build primitive and simple memorials. Rhythmical memory utilizes the element of speech and song. Finally, picture or time memory pertains to the head. Accordingly, these three forms of memory ascent and wander from the movement of the limbs up to the resting head via the motor activity of speech. It is significant that there still exist in German language words exactly indicating these memory forms. There is the word, merken (to remember), which we still have in marke, markierung, markstein (mark, marking, landmark). I mark something in the sense of "mark my word' by making a remark about it to myself or finding a landmark outside for it. The second word is besinnen, which comes from sinnen (to meditate, ponder, think, to be minded). The sound already contains a rhythmical element, which may turn from the inward sinnen to the outward singing. Songs and sagas, those rhythmically recited epics calling up in the listener the rhythmical memory, belong here. From the Bhagavad Gita to the Songs of Homer and the Nibelungenlied, they formed and fashioned rhythmical memory. The third word is Erinnern (re-member, re-collect). What was laid into the innermost soul now reascends as er-innerung (re-collection). (13) This is the form of memory that prevails today and that we all know. Thus we can draw up the following table to indicate the totality of memory. Bühler describes indistinctly what appears clearly in the threefoldness of memory as outlined by Rudolf Steiner. During his first year the child is filled almost entirely with a localized memory. He experiences the impressions of familiarity, described by Bühler, when his mother's face appears again and again, when his little sister bends over the side of the crib, when light and darkness approach him alternately. Here "landmarks' appear from outside and vaguely fashion the basis of 'marking (merken). In the second year when speech develops, rhythmic memory begins to be formed. Newly learned words are now said over and over again to exhaustion, and new forms of movement are continually repeated. A picture book is repeatedly brought out and looked at as the acquired sounds are uttered. During this second year the child seems possessed by rhythm and everything he does is repeated. Moreover, the localized memory expands. Certain places are sought out with pleasure, others avoided with trepidation because certain memories are connected with them. At the same time the beginnings of the third form of memory appear. These first traces of memory ideas (Erinnerungsvorstellungen), even if only fleeting, appear from the second year onward. Around the middle of the second year, however, memories of longer duration also begin to emerge. Here the twenty-four hour period has a preferential position (in the order of periodicity). Thus it is described by Stern (15) who is justified in pointing to the periodicity because the picture memories are still shadows Over against the lively experiences of the rhythmic memories. When a two-year-old child demands that the same thing should happen every day at the same time, or that a fairy tale must be repeated with the same expressions and accents of feeling, it is indicative of the rhythmic memory that governs this age. Toward the end of the third year memory ideas become more frequent and insert themselves widely into the totality of memories. The ability to "mark' (merkfȁhigkeit) and 'be-think (besinnung) are gradually overpowered by the third form of memory. The child now learns to remember what has been imparted by means of speech and he becomes receptive to teaching and admonition. These acquisitions are already the result of the awakening thinking. More will be said about this later. In this way, toward the end of the third year, the memory frame for the experience of personality is formed. The child, whose past gradually begins to emerge, is far enough along to gain an idea of his personality. This is at first only a dull sensation, but in contrast to the situation of the smaller child, it exists. Closed forms of his existence light up in him only in his recognition of things and situations, or in the rhythmic repetition of actions including speaking. Thus the acquisition of memory becomes one of the most important prerequisites for the child's experience of his own person. One does not attain a true view of those forces underlying fantasy with this interpretation because fantasy takes hold of any kind of material, movements as well as ideas, for activating itself. Any of these materials is the plastic substance used by fantasy. When the child grasps a stick and makes out of it a horse, a hat, an arrow and then a doll in quick succession, what he has done has little to do with the stick itself. Or if he takes an idea and with its help makes himself a soldier, a father or a conductor, this action also has little in common with the idea. Fantasy seizes anything it can get hold of. Only be recognizing the intimate interweaving between play and fantasy can we do justice to fantasy because fantasy without play, and play without fantasy are almost unthinkable. Even when the child begins to make up stories at bedtime, this, too, is play, a play of fantasy with the ideas of memory. Here we have two pairs of contrasts that we must consider. Just as fantasy is bound up with playing, so does memory work in close union with speaking. The faculty of memory is most intimately connected with the faculty of naming because one truly remembers only what is to be named. The memory picture in turn is developed with the name. Play, on the other hand, enlivens fantasy; conversely, fantasy kindles and diversifies play. When Stern says, (19) ‘Fantasy is never able to create out of nothing. Its elements must always have their foundation in real experiences,’ one has to reply that in reality it seems to be exactly the other way around. Real experiences have their sources only in the child's fantasy. After all, the child can grasp his environment only as interpretation of his fantasy, and existence gains its true meaning and becomes experience in this way alone. Fantasy is the continuous joy that the child experiences on his waking to the earthly world. His inclination toward all things and beings, his joyful urge to take everything in, to connect things with each other, to mix, to enhance is fantasy, and its expression is play. Memory on the other hand is the result of the child's painful collision with the world. The experience of the surrounding world as something alien, something veiled and impenetrable, gives the child the power of memory. In memory he can abstract the world, a process similar to what happens in the formation of words, and the world thereby becomes property, albeit a painful and abstract property. When we see a foal jump in the meadow, we directly experience the fanciful (fantasy-filled) play of the animal. It is pleased with itself in the joy of existence, in the happiness of being part of the world. Its power of fantasy makes it skip and gallop, neigh and shake, and what is so charmingly revealed here for such a short span of time in the animals, becomes apparent in the child over many years and in manifold ways. The continuous joy of existence and uniting ever anew with the world around, this dawning and all-embracing sympathy is the origin of all fantasy. Like all play, fantasy, too, has its well-spring in motor activity. The small child takes his fantasy from movement and mobility, from his ceaseless need for lively activity. When he moves his arms, each movement becomes a corresponding picture. When he runs or skips, jumps or climbs, immediately and naturally each of these forms of movement is embedded in a story that often begins or ends in fragments, begins without ending, and ends without having begun. But that is the fascination of all play, that there is no beginning and no ending, and yet all is happening. Only later, when movement is performed without a picture behind it, when movement is done for movement's sake, when it has become purpose in itself, will the abstraction of sport have been attained. When, toward the end of the second year, motor activity has freed itself, fantasy begins to arise and gradually take form in the course of the third year. From then on it is preserved during most of childhood and is forced down into the subconscious only at prepuberty by thinking that forms ideas, and memories that advance with ever-increasing strength into the foreground. One of the first to do justice to fantasy was Ernst Feuchtersleben. He devoted a whole chapter to it in his Diaetetik der Seele, where he said, 'Fantasy is the breadwinner, the prime mover of all single members of the spiritual organism. Without it all ideas stagnate, however great their number. Concepts remain rigid and dead, sensations raw and sensuous ... One can say fantasy is in us before we ourselves are, and it remains until we have gone. These words point to the all-embracing power of fantasy, which beyond childhood comes into the foreground of the soul only when it is withdrawn from waking consciousness and is enwrapped in the dreams of narcotic confusion of memory and thought. So we see in the third year a period during which the child makes a threefold acquisition. With the powers of his head he gradually comes into possession of memory in the form of ideas. With his middle organization he gains quickening speech, learns to form sentences and begins to hold real conversations; talking is acquired. Finally, fantasy, born out of his limb system, comes to full blossom in the child. This threefold acquisition is the necessary preparatory step for the beginning of the activity of thinking proper in its first tender form. The highest gift bestowed upon the growing human being - his cognition, his ability to know - is developed in the soul realm of remembering, speaking and fantasy. In this process of the awakening of thought he becomes conscious of himself and the word 'I' as self-designation, is formed at the same time. "I think’ becomes at first a rare experience whose recurrence gradually increases. Awakening thought reveals itself here in its outer gesture. The child withdraws from the world of sense impressions and overcomes her impulse to move, assuming a position similar to that of listening. She begins to listen to her awakening thoughts. These first, softly sounding thoughts contain the dawn of an understanding for the fact that the world of things and beings show mysterious relationships, that here and there, at different places the same thing can happen and that tomorrow and today similar events can take place; that definite objects perform functions appropriate to them and that every human being stands in similar connections to other human beings. At about the same time Annie plays a question game with her father. In answer to the question, “Who makes the dress?' he says, "The dressmaker.' Annie perseveres and then asks, “Who makes the apron?” At the same moment she remembers that the apron she is wearing was sewn by her mother. The father, who knows nothing of this, answers, "The dressmaker.' Annie, however, interrupts and says, "No, Mummy Mummy is a dressmaker.' With this the child has discovered an activity that is not only that of the dressmaker, but also that of her mother. The identification of an activity has resulted and her world has become richer by a new connection. Such identifications start in the course of the third year and are at first simple, becoming more complicated and manifold later on. The same Annie at the age of two years and five months was given a doll named Tony. One day her Aunt drew a picture of Tony on a piece of paper. The child got quite excited because she recognized the identity and yet sensed that the drawing was something different from the object itself. After she had then found and brought Tony to her aunt, she was asked about the meaning of the drawing. She explained, 'A dolly ... like that! The moment this is grasped, the tension dissolves. Object and image are recognized! Little Hilde Stern could already manage the following formulation of sentences at the end of the third year. "That moves that way today because it is broken'; 'You won't get a sandwich because you are naughty'; 'Must take the beds away so I can get out; Dolly disturbed me so I couldn't sleep.' Innumerable relations of space, time, causes and essentialities are grasped here. What, at the beginning of the third year, still lay in dusky twilight and began to brighten only through single points of light, is plunged into clear light. It has become apparent that the things of the world are connected with each other through manifold relations. The categories of Aristotle are revealed to the child as a basis for his thought achievements. Thinking even overtakes speech. It runs ahead of it and speech formulations themselves already come partly under the power of the child's own thoughts. It is no longer speech alone that utters the words, but the child's thought experience begins to make use of speech. Movement and speech, which so far have followed rather autocratically their own laws, come under the rulership of contemplation and judgment. Step by step thought becomes king of the soul, whose functions bow down under its light-filled majesty. That is also the radical difference that exists between walking and speaking, on the one hand, and thinking on the other. 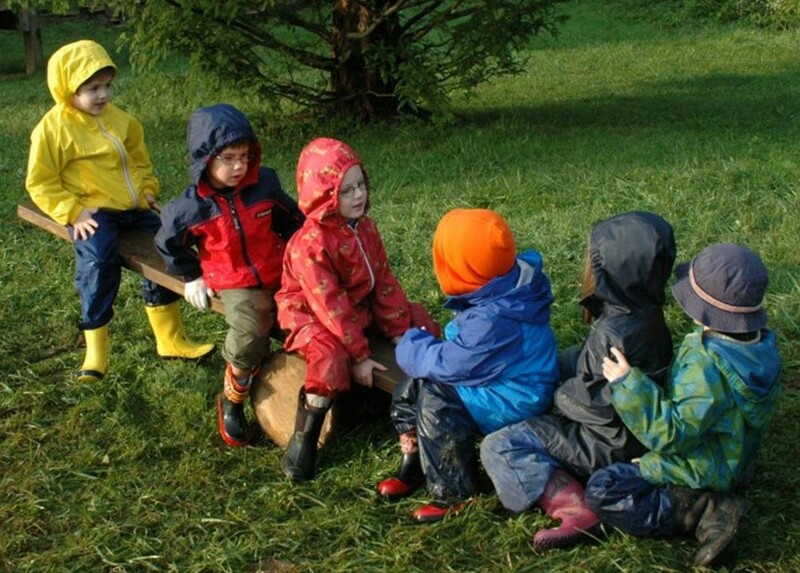 Walking and speaking are learned; they unfold step by step and give the child sureness of movement in space and of behaviour in the world of things and beings. Walking enables him to dominate space and speaking to possess the named world around him. Thinking on the other hand, as power of the soul, does not use a manifest bodily tool. It uses neither the limbs, nor the speech organs; it appears like a light, which must have been in existence though it was not visible before. If we should assume it to be created anew in each child, we would be like those who imagine the sun to be a star newly created every morning. Thinking fills the being of the child from the beginning. It is in existence and at work, but has no possibility as yet to show itself. It dwells in the distant depths of the child's existence, which in the first two years is occupied with the proximity of the body, its sense perceptions, its sensations and feelings. A thorny hedge, behind which thinking is still asleep in the castle of the head, grows out of the manifoldness of these first experiences. It can only occasionally, but sometimes even in earliest babyhood, wake up and appear almost tangibly, though making no utterance. That happens when the dream sleep existence of early childhood is interrupted by a painful illness. Then the eyes of the baby wake up and become the deeply serious messengers of his individuality. I, myself, have often been able to observe this. A mother whose child was operated on at the age of six months, described it once to me as follows. "She is quiet and peaceful, still serious, but really removed beyond her age - yet entirely human. The baby has almost receded into the background. One must observe this only with respect and love.' Once illness has passed, the infant re-emerges and thinking withdraws until it appears in the course of the third year and begins to perform its activities with the help of speech, memory and fantasy. Like the sleeping beauty it is then kissed awake by its prince. This is a phenomenon that occurs in every child during the third year and that belongs to the most mysterious events in the realm of the human soul. The individuality of the growing child breaks through the thorny hedge of his daily experiences and awakens his slumbering thinking. In that moment when they behold one another face to face, the consciousness of the individual ego first awakens. This special instant, of which some grown-ups still have a memory, is a turning point in human life. From this moment on an unbroken memory thread exists that carries the continuity of the ego-consciousness. Even if much of it is forgotten in later years, a dim feeling of the unity of one's own person extending back to this point in time remains. Behind it early childhood lies veiled in darkness. Immediately, suddenly and unforeseen this flash of recognition hit the child's soul in the midst of a wild game and from then on the consciousness of his own personality remained. Moriz Carriére described the same phenomenon in the following way. Jean Paul has described this moment perhaps most beautifully. The poet fully comprehends and recognizes this event that occurs in the holiest of holies of the human soul, where the bride of cognition is awakened by the king's son of the individuality. From this moment onward both are united like brother and sister and so remain until death. At the awakening of thinking something becomes apparent that is not so obvious in the case of walking and speaking, namely, that all three faculties have metamorphosed out of pre-earthly activities in order to appear in the child in an earthly garment. Rudolf Steiner gave concrete indications of this. During embryonic life these three high human faculties are forming a chrysalis in order to emerge step by step after birth. Prior to conception, during prenatal life, walking, speaking and thinking were three spiritual faculties given to man in his spiritual existence. The sleeping thinking awakens at the call of the personality that finds itself. Whoever remembers this moment sees in full detail the circumstances then prevailing. Everything down to the last detail is remembered because the impression is so strong and lasting that no part of it can be forgotten. However justified this whole description may be, the conclusion arrived at certainly seems unjustified. This time of crisis mentioned here is not the occasion of the 'I' or ego's birth, but the result of it. The ego is born in the awakening thinking, and the result of this even is the age of defiance that now follows. Neither is it the hour of the birth of the higher ego, but rather the death of it. What now comes to light is the lower ego, which will accompany man through the whole of his earthly life. This is an exact description of the spiritual process that lies hidden behind the events of the period of defiance. The first great phase of childhood comes to an end, and will and impulse awaken at the birth of the lower ego. We must gradually learn to see this phase of the first three years of childhood in a new light, not like Bühler and his successors who consider the child more or less as an animal that gradually grows out of the 'chimpanzee age' and has overtaken the 'whole phylogenetic animal evolution' by his third year. 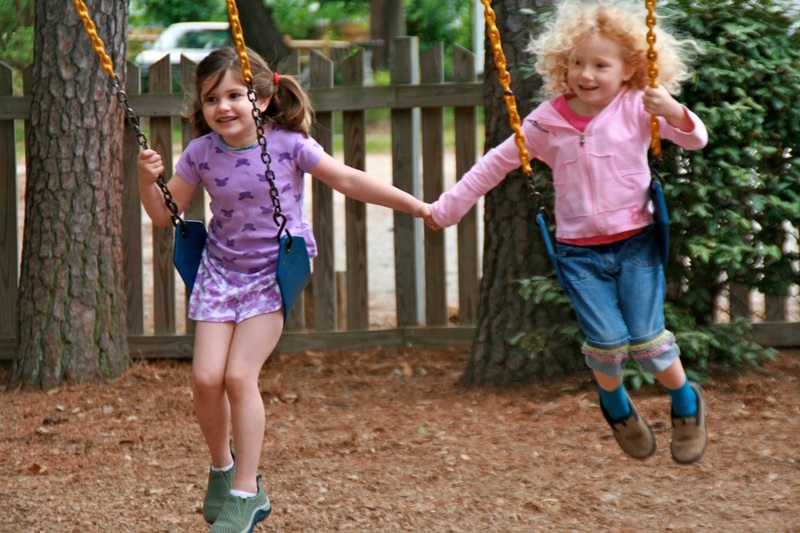 We meet here with those powers of wisdom that give the child the faculties of walking, speaking and thinking. In walking he comes to terms not only with the forces of gravity, by Overcoming them, but through this act he separates himself as individual being from the world of which he was formerly still a part. 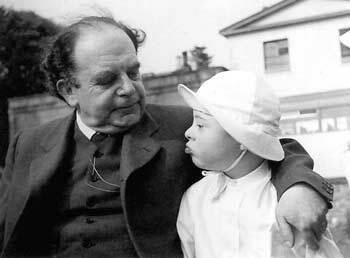 In speaking, the child not only learns soul communication with other human beings but takes possession of things and beings in a new way so that they belong to him once more. Finally, in thinking he once more acquires on a higher level what he had achieved in learning to walk. He lifts himself anew out of the world, but he is now more firm and consolidated. Like a shepherd he mingles again with the herd, which consists of the names of all things spread out around him. He has regained them by giving them names, but now he, himself, must not remain only a name. He enters the innermost being of the name by knowing how to name himself beyond his name. This is called, "I, and man thereby recognizes himself as part of the World-Ego, which as logos, was the origin of all creation. W. Köhler, The Mentality of Apes. Bühler, The Mental Development of the Child. Remplein, Die seelische Entwicklung in der Kindheit und Reifezeit. As quoted by Remplein, Die seelische Entwicklung in der Kindheit und Reifezeit. I have based my descriptions on the account in Homeyer, Vön der Sprache zu den Sprachen. E. Köhler, Die Persönlichkeit des dreijährigen Kindes. Steiner, The Realm of Language, lecture of July 17, 1915. Steiner, Building Stones, lecture of April 12, 1917. Steiner, Die Wissenschaft vom Werden des Menschen, lecture of Sep. 2, 1918. 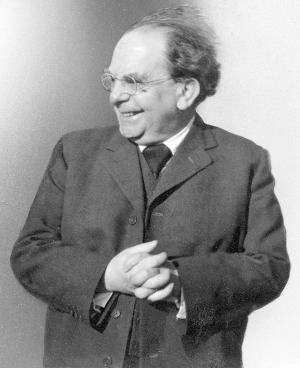 Steiner, World History in the Light of Anthroposophy, lecture of Dec. 24, 1923. Stern in his Psychology of Early Childhood gives an explanation of marking and be-thinking different from the above. It would lead us too far afield if we went into details here. Buehler, The Mental Development of the Child, p. 314. Stern, Psychology of Early Childhood, p. 207. Stern, Psychology of Early Childhood, p. 240. Steiner, Foundations of Human Experience, lecture of Aug. 22, 1919, p. 55. Stern, Psychology of Early Childhood, p. 276. Stern, Psychology of Early Childlhood. E. Köhler, Die Persönlichkeit des dreijährigen Kindes, p. 67. Stern, Psychology of Early Childhood, p. 170. Rauch, Der Schatten des Vaters. E. Köhler, Die Persönlichkeit des dreijährigen Kindes, p. 232. Steiner, Spiritual Guidance, p. 8. Remplein, Die seelische Entwicklung in der Kindheit und Reifezeit, p.143. Steiner, The Spiritual Guidance of Mankind, p. 9. Steiner, The Spiritual Guidance of Mankind, p. 18f.